Pour and store your most-loved pantry essentials. 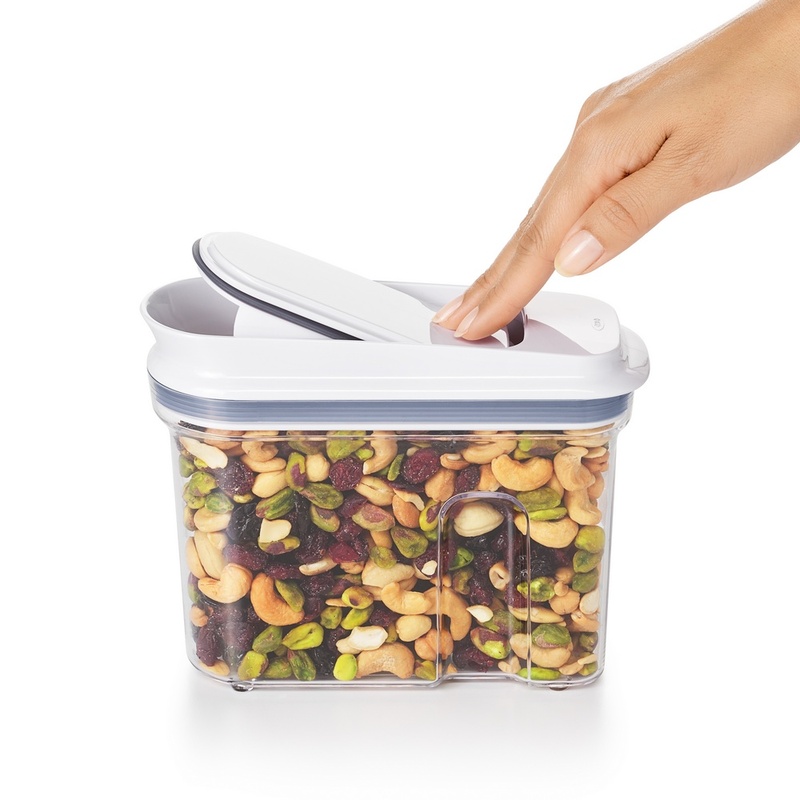 Keep dry foods like granola, quinoa, dried beans, grains and nuts fresh and close at hand with the OXO All-Purpose Containers. 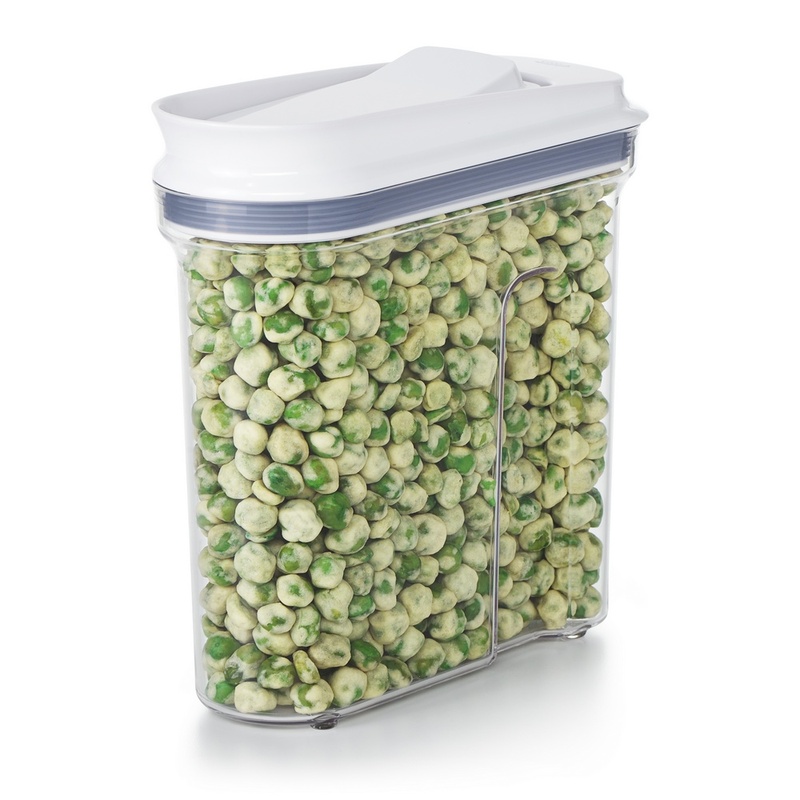 The easy-open lid opens and seals with a simple push, while the smooth-pour spout and contoured shape ensure controlled, mess-free dispensing. 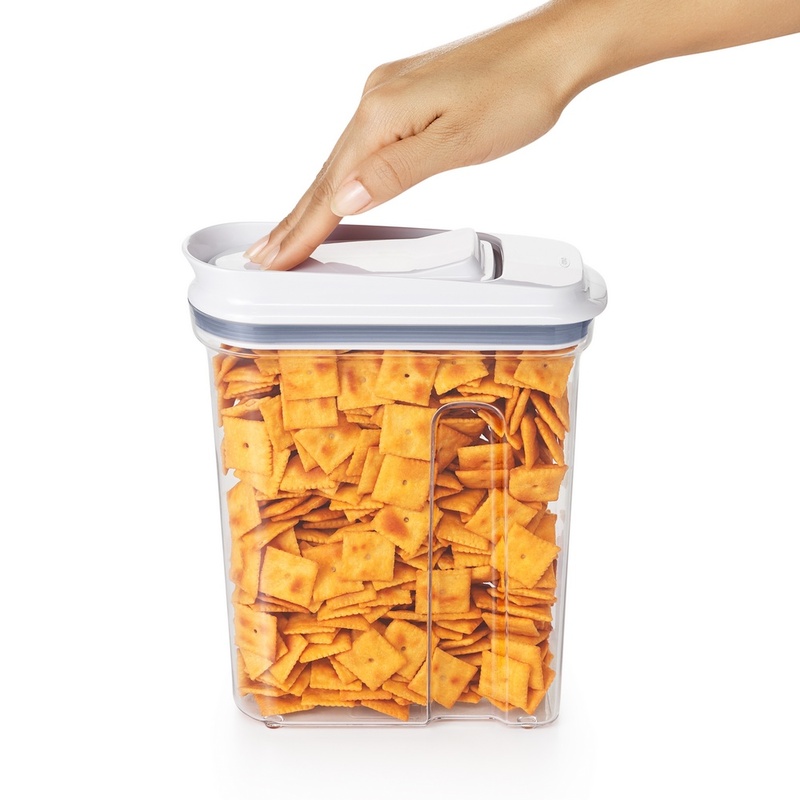 Crystal-clear bodies let you see what‘s in store and two airtight seals in the lid keep food fresh. 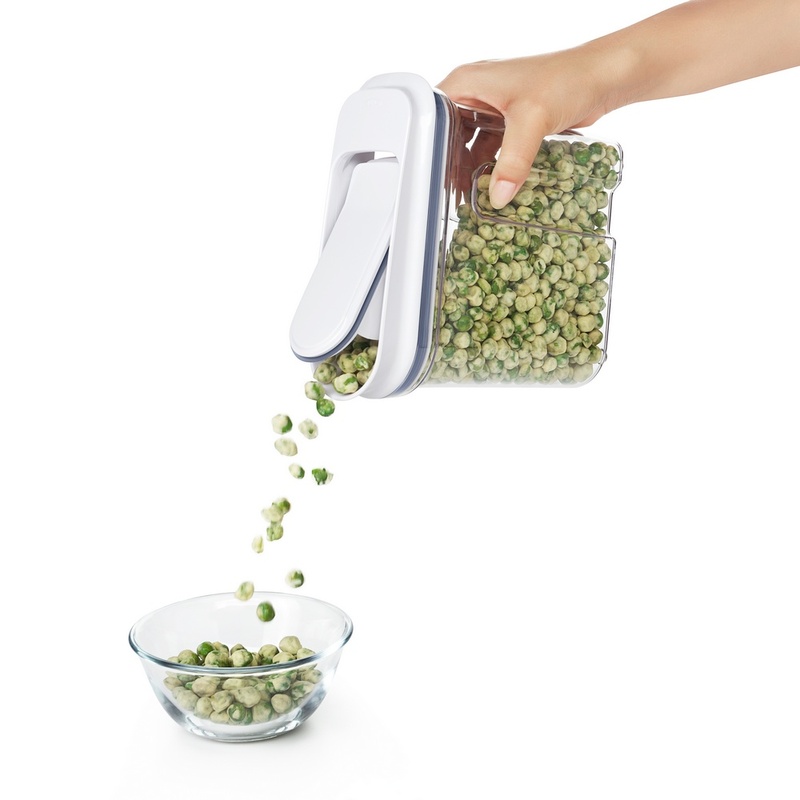 Each size is perfectly calibrated to fit your favorite pantry and countertop.